1) Select an insurance company which is already in existence and people knows about this. E.g. LIC, HDFC Insurance, Max New York etc., In case you are selecting a new insurance company, it would take lot of time for an agent to create awareness among the customers. 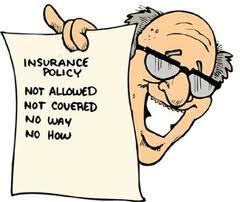 3) Do not try to divert your sales only to high commission insurance policies. Once your customers realize this, they soon start ignoring you. 4) Target the corporate companies. You can conduct seminars, awareness programmes where you can get good number of customers. I am a kotak life insurance agent and also doing Aditya Birla Health Insurance . If anyone is interested in these products do contact me. Also anybody interested to pursue as insurance agents for kotak do contact me. Awesome income. Foreign trips and membership of elite clubs are benefits. Contact me for further details. I am Umesh from belapur , I am working in ultra tech cement ltd. I just want to start a insurance business , plz give me suggestion. and plz msg me on my email id. Hi, i am interesting to become LIC Agent. Hi I am pankaj kumar from BEGUSARAI Bihar, I am working as development officer in LIC of India, Any person interested in joining lic as insurance advisor contact me. I am recruiting insurance agents for SBI life insurance, please contact people from Kerala 9895944542.